This study examined the vertical distribution of heavy metals in the core sediments of Lake Erikli, Turkey and their potential ecological risks. Two core samples 48 and 34 cm in length were taken with a Kajak gravity core sampler. The samples were divided into 2 cm sub-samples in the laboratory and analyzed using ICP-MS. The enrichment factor (EF), potential ecological risk factor (PERI) and pollution load index (PLI) were calculated to evaluate the environmental quality of the sediment. According to the results, Cu, Pb, Zn, Ni, and Cr come from natural sources in both cores and there is no anthropogenic contribution to the distribution of these elements, while some anthropogenic effects were detected for As, Cd and Hg. According to the calculated risk index (CRI) for each metal, the potential risk of Cu, Pb, Zn, Ni, As and Cr is low. Two metals posing a threat to the ecosystem were identified; Cd and Hg. PLI values significantly increased from the bottom of the slice to the surface in accordance with the EF and PERI values. Continuation of the pumping of domestic waste into Lake Erikli will accelerate the process of deterioration. Altındağ, A., and Yiğit, S. 2005. Assessment of heavy metal concentrations in the food web of Lake Beyşehir, Turkey. Chemosphere, 60 (4), 552–556. Arslan, N., Koç, B., and Ciçek, A. 2010. Metal contents in water, sediment, and Oligochaeta-Chironomidae of Lake Uluabat, a Ramsar site of Turkey. The Scientific World Journal, 10. Bai, J., Cui, B., Chen, B., Zhang, K., Deng, W., Gao, H., and Xiao, R. 2011a. Spatial distribution and ecological risk assessment of heavy metals in surface sediments from a typical plateau lake wetland, China. Ecological Modelling, 222 (2), 301–306. Benzer, S., Arslan, H., Uzel, N., Gül, A., and Yılmaz, M. 2013. Concentrations of metals in water, sediment and tissues of Cyprinus carpio L., 1758 from Mogan Lake (Turkey). Iranian Journal of Fisheries Sciences, 12 (1), 44–55. Bing, H., Wu, Y., Liu, E., and Yang, X. 2013. Assessment of heavy metal enrichment and its human impact in lacustrine sediments from four lakes in the mid-low reaches of the Yangtze River, China. Journal of Environmental Sciences (China), 25 (7), 1300–1309. Çağlayan, M.A. and Yurtsever, A. 1998. 1/100 000 Ölçekli Türkiye Jeoloji Haritaları: Burgaz A3, Edirne B2 ve B3, Burgaz A4, Kırklareli B4, B5, ve B6, Kırklareli C6 Paftaları. MTA Genel Müdürlüğü Jeoloji Etütleri Dairesi, Ankara. Çevik, F., Göksu, M.Z.L., Derici, O.B., and Fındık, Ö. 2009. An assessment of metal pollution in surface sediments of Seyhan dam by using enrichment factor, geoaccumulation index and statistical analyses. Environmental Monitoring and Assessment, 152 (1–4), 309. Duman, F., Aksoy, A., and Demirezen, D. 2007. Seasonal variability of heavy metals in surface sediment of Lake Sapanca, Turkey. Environmental Monitoring and Assessment, 133 (1–3), 277–283. Gao, H., Bai, J., Xiao, R., Liu, P., Jiang, W., and Wang, J. 2013. Levels, sources and risk assessment of trace elements in wetland soils of a typical shallow freshwater lake, China. Stochastic Environmental Research and Risk Assessment, 27 (1), 275–284. Guo, W., Liu, X., Liu, Z., and Li, G. 2010. Pollution and potential ecological risk evaluation of heavy metals in the sediments around Dongjiang Harbor, Tianjin. Procedia Environmental Sciences, 2, 729–736. Hakanson, L. 1980. An ecological risk index for aquatic pollution control - a sedimentological approach. Water Research, 14(8), 975–1001. Hou, D., He, J., Lü, C., Ren, L., Fan, Q., Wang, J., and Xie, Z. 2013. Distribution characteristics and potential ecological risk assessment of heavy metals (Cu, Pb, Zn, Cd) in water and sediments from Lake Dalinouer, China. Ecotoxicology and Environmental Safety, 93, 135–144. Ikem, A., and Adisa, S. 2011. Runoff effect on eutrophic lake water quality and heavy metal distribution in recent littoral sediment. Chemosphere, 82 (2), 259–267. Kaya, H., Erginal, G., Çakır, Ç., Gazioğlu, C., Erginal, A.E., 2017. Ecological risk evaluation of sediment core samples, Lake Tortum (Erzurum, NE Turkey) using environmental indices. 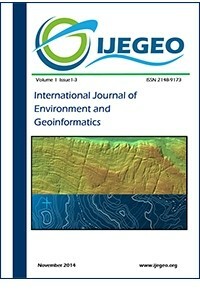 International Journal of Environment and Geoinformatics (IJEGEO), 4(3), 227-239. Kükrer, S. 2017. Pollution, source, and ecological risk assessment of trace elements in surface sediments of Lake Aktaş, NE Turkey. Human and Ecological Risk Assessment: An International Journal, 23 (7), 1629–1644. Kükrer, S., Erginal, A.E., Şeker, S., and Karabıyıkoğlu, M. 2015. Distribution and environmental risk evaluation of heavy metal in core sediments from Lake Çıldır (NE Turkey). Environmental Monitoring and Assessment, 187 (7), 453. Li, F., Huang, J., Zeng, G., Yuan, X., Li, X., Liang, J., Wang, X., Tang, X. and Bai, B. 2013. Spatial risk assessment and sources identification of heavy metals in surface sediments from the Dongting Lake, Middle China. Journal of Geochemical Exploration, 132, 75–83. Long, E.R., Ingersoll, C.G., and MacDonald, D.D. 2006. Calculation and uses of mean sediment quality guideline quotients: a critical review. Environmental Science & Technology, 40 (6), 1726–1736. Suresh, G., Ramasamy, V., Meenakshisundaram, V., Venkatachalapathy, R., and Ponnusamy, V. 2011. Influence of mineralogical and heavy metal composition on natural radionuclide concentrations in the river sediments. Applied Radiation and Isotopes, 69 (10), 1466–1474. Sutherland, R.A. 2000. Bed sediment-associated trace metals in an urban stream, Oahu, Hawaii. Environmental Geology, 39 (6), 611–627. Tao, Y., Yuan, Z., Xiaona, H., and Wei, M. 2012. Distribution and bioaccumulation of heavy metals in aquatic organisms of different trophic levels and potential health risk assessment from Taihu lake, China. Ecotoxicology and Environmental Safety, 81, 55–64. Turoğlu, H. 1997. Istranca yöresinin Karadeniz aklanı: Coğrafi özellikler, sorunlar ve öneriler. İstanbul Üniversitesi Edebiyat Fakültesi Coğrafya Bölümü Coğrafya Dergisi, 5, 283–333. Uludağ, M. 2018. İğneada Doğal Kaynak Değerleri, Arazi Kullanımı Sorunlar ve Öneriler. Çantay Kitapevi, İstanbul. Uwah, I.E., Dan, S.F., Etiuma, R.A., and Umoh, U.E. 2013. Evaluation of status of heavy metals pollution of sediments in Qua-Iboe River estuary and associated creeks, South-Eastern Nigeria. Environment and Pollution, 2 (4), 110–122. Vrhovnik, P., Šmuc, N.R., Dolenec, T., Serafimovski, T., and Dolenec, M. 2013. An evaluation of trace metal distribution and environmental risk in sediments from the Lake Kalimanci (FYR Macedonia). Environmental Earth Sciences, 70 (2), 761–775. Wang, J., Liu, R., Zhang, P., Yu, W., Shen, Z., and Feng, C. 2014. Spatial variation, environmental assessment and source identification of heavy metals in sediments of the Yangtze River Estuary. Marine Pollution Bulletin, 87 (1–2), 364–373. Wang, Y., Hu, J., Xiong, K., Huang, X., and Duan, S. 2012. Distribution of heavy metals in core sediments from Baihua Lake. Procedia Environmental Sciences, 16, 51–58. Yang, J., Chen, L., Liu, L.-Z., Shi, W.-L., and Meng, X.-Z. 2014. Comprehensive risk assessment of heavy metals in lake sediment from public parks in Shanghai. Ecotoxicology and Environmental Safety, 102, 129–135. Yi, Y., Yang, Z., and Zhang, S. 2011. Ecological risk assessment of heavy metals in sediment and human health risk assessment of heavy metals in fishes in the middle and lower reaches of the Yangtze River basin. Environmental Pollution, 159 (10), 2575–2585. Yilgor, S., Kucuksezgin, F., and Ozel, E. 2012. Assessment of metal concentrations in sediments from Lake Bafa (Western Anatolia): an index analysis approach. Bulletin of Environmental Contamination and Toxicology, 89 (3), 512–518. Zahra, A., Hashmi, M.Z., Malik, R.N., and Ahmed, Z. 2014. Enrichment and geo-accumulation of heavy metals and risk assessment of sediments of the Kurang Nallah-Feeding tributary of the Rawal Lake reservoir, Pakistan. Science of The Total Environment, 470–471, 925–933. Zhang, J., and Liu, C.L. 2002. Riverine composition and estuarine geochemistry of particulate metals in China—weathering features, anthropogenic impact and chemical fluxes. Estuarine, Coastal and Shelf Science, 54 (6), 1051–1070. Zhang, J. 1995. Geochemistry of trace metals from Chinese river/estuary systems: An overview. Estuarine, Coastal and Shelf Science, 41 (6), 631–658.